Old English sunnandÃ¦g "day of the sun"
Old English mon(an)dÃ¦g "day of the moon"
Old English tiwesdÃ¦g "Tiw's (Tiu's) day"
Old English wodnesdÃ¦g "Woden's day"
Old English thunresdÃ¦g "thunder's day"
Thor is the Norse god of thunder. He is represented as riding a chariot drawn by goats and wielding the hammer MiÃ¶lnir. He is the defender of the Aesir, destined to kill and be killed by the Midgard Serpent. Old English sÃ¦ter(nes)dÃ¦g "Saturn's day"
In the times of the Holy Temple, the high court (Sanhedrin) would declare each new month (Rosh Chodesh) only after witnesses would come and say that they saw the new moon. This is a special power that God gave the Jewish people to control time, and is irrespective of any scientific knowledge. When the Sanhedrin declared the day to be Rosh Chodesh, they would send messengers to notify everyone which day is the first day of the month, so that they could correctly calculate the Yom Tov, or other occasions. Those who lived far from Jerusalem, where the messengers could not reach before the 15th of Nissan (Pesach) or the 15th of Tishrei (Sukkot), would keep two days Yom Tov, out of doubt regarding which day the witnesses saw the new moon. On another level, some want to suggest that a second day Yom Tov was added in order to make a distinction for those living in the Diaspora: that for a Jew, not residing in the Holy Land is in a sense an aberration. The reason that Yom Kippur is only one day even in the Diaspora is that it would be too difficult for people to fast for two days straight. The Three Pilgrimage Festivals: Passover, Sukkot and Shavuot. Nevertheless, citing the Midrash from Shir HaShirim, some opinions maintain that coming today to see the Temple Mount and the Western Wall still applies on the pilgrimage festivals (Ran â€“ Taâ€™anit 7a; She'alat Ya'avetz 1:87; Yechaveh Daas 1:25; Teshuvah Kol Mevaser 2:10). Whichever view is adopted, today tens of thousands of people again make the pilgrimage to the site of the Temple and the Western Wall during these festival days. Nissan 1 30 days March-April: Months to honor of Mars and Aphrodite, goddess of love, beauty and sexuality. Like the days of the week, other than Shabbat, The Hebrew months don't have names in the Tanach. They have numbers, counting from the month of Nissan, which is described as "the first month" at Exodus 12:2. I Kings 6:2 refers to the month of Iyar as the "month of Ziv." The word "ziv" is an adjective and means "radiance." Rabbi Eliyahu Kitov explains that it is called "radiance" because in this month the sun is in full radiance. Similarly, the Jewish people came into full "radiance" in this month, for they were made ready to receive the Torah during this month. I Kings 6:38 refers to the month of Cheshvan as "the month Bul," related to the word "baleh" which means, "withers," and the word "bolelin" which means "mixed." It is described in this fashion since the grass withers in this month, and the grain is mixed for the household livestock. The Radak explains that the word "bul" is related to "yevul" which means produce, since plowing and planting begins in this month. Other names we use today are Babylonian in origin. They were adapted by the Jews some time during the Babylonian Exile, circa 400 CE. Ironically, the month of Tammuz is the name of an idol which appeared (via optical illusion) as if it was crying. This was achieved by putting soft lead into its eyes, and by kindling a small fire inside, which would melt the lead. This explains the reference in Ezekiel 8:14: "There were women sitting, causing the Tammuz to cry." There are other opinions about the name of this month. 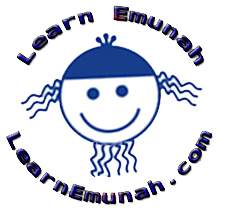 Rashi says that the name Tammuz is an Aramaic word meaning "heat," since it is a hot summer month. Another interesting note: Tammuz-17 was the name of the Iraqi nuclear reactor destroyed by Israel in 1981. It was so named because the 17th of Tammuz is the day that Jerusalem was sieged prior to the destruction of the Temple by Nebuchadnezzar, and Saddam Hussein was known to fancy himself as the heir to Nebuchadnezzar's fallen dynasty. Even though the names of the months are linguistically speaking Babylonian, they were adopted by the Jews with the understanding that they were Divinely inspired names. They are laden with kabbalistic nuances. Based on this, the Sages expounded the names of the months - e.g. Elul is an acronym for "ani ledodi vedodi li" (I am to my beloved, and my beloved is to meâ€), and Nisan is the month of "nissim" (miracles).